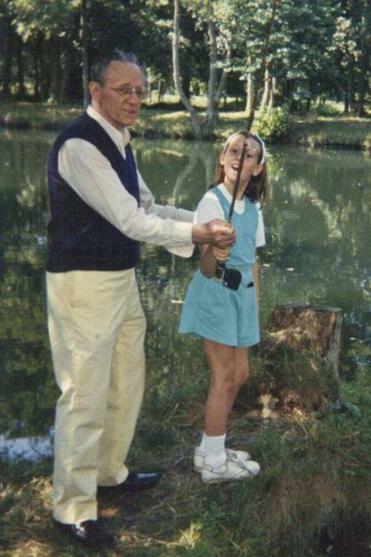 Mr. Heinle with his daughter Katherine in France. Wearing one of his Russian fur or Irish Donegal tweed hats, Charles August Steuber Heinle, with his French Briard sheepdog, was a common sight on the streets of Concord for many years. He had moved there when he was in his mid-50s to be near the place where his hero, poet and philosopher Henry David Thoreau, was born and buried. In honor of Thoreau’s book, “Walden, ” he married his wife, Beverly, at Walden Pond in 1973 on Christmas Day, which was also his birthday. Mr. Heinle, a publisher, writer, and poet, died of Alzheimer’s disease on July 23 at Concord Health Care Center in Concord. He was 95. After fulfilling years in a variety of jobs, Mr. Heinle’s interest in foreign language education led him to meet Paul Pimsleur, creator of Pimsleur Language Programs, in 1966. In 1974, he bought the language program business, renaming it Heinle & Heinle Enterprises, Inc., and ran it until he sold it to Simon & Schuster in 1997. He had boundless energy, she said. Lili Ott, a neighbor and director of the Concord Art Association, called him a renaissance man “interested in music, art, a number of businesses” and travel. He often went on business trips to France, a country he loved, and took his family. She recalled one time when he was dancing along the ledge of a high wall, singing risqué French songs. During the daytime, he worked — “because work was life to him, and the idea of taking a vacation and not working was incomprehensible to him” — while her mother would take her and her siblings to museums. His daughter Katherine Perry of Melrose said he could talk with anyone and charmed everyone. Over the years, Mr. Heinle held many different kinds of jobs: working for his father in marketing and distributing Heinle’s Root Beer, serving as a legal and accounting clerk for Girard Trust of Philadelphia, and doing research for the novelist Irving Stone in California. He was, by all accounts, a man of principle and was a conscientious objector at the start of World War II. He joined the Army Air Force and operated an armed forces radio station in Japan. He was born to pharmaceutical chemist and inventor, Charles J. and Elisabeth Steuber Heinle, a nurse, in Philadelphia, where he grew up. As a child, Weir said, Mr. Heinle excelled in piano, clarinet, organ, and had “a glorious baritone voice.’’ He dreamed of an operatic career and studied under the famous voice teacher Giuseppe Boghetti. He made his first operatic appearance in “Martha’’ while a student at Olney High School. He was 24 when he made his first solo performance at Carnegie Hall in 1940 with Schumann’s “Die Beiden Grenadiere,’’ but, Weir said, a botched surgery ended his opera dreams. Mr. Heinle threw himself into his other love, literature. He published his first book of poetry, “Bridges,’’ in 1937 and it was followed by “On Shifting Sands” in 1941. In 1938, he graduated from Temple University in Philadelphia with a major in English and that same year, he married Ruth Leight. They divorced in 1972. The following year, he married Beverly D. Hoffman-Voigt. She said while his smile first attracted her — “He could charm anyone with that smile, and he could charm me with it every time” — his intellect made her fall in love. It was not until after the war, that Mr. Heinle ventured into the publishing world. In 1955, he joined Chilton Book Co. near Philadelphia and became its American distributor for materials published by the French Ministry of Culture. We dedicate this little song to you. You are unseen, but unforgotten still. Departed ones, we keep your memory true. In bird-song as the twilight shadows fall. In addition to his wife, two daughters, and son, Mr. Heinle leaves another daughter, Dolores L. Beatty of Philadelphia; two other sons, Charles of Princeton, N.J., and Raymond J. of Philadelphia; a half brother, Edward of Rockford, Ill., 10 grandchildren; and several great-grandchildren. Gloria Negri can be reached at negri@globe.com.